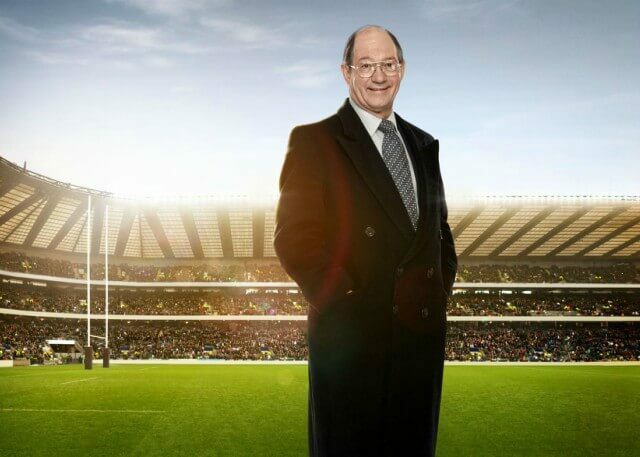 For many years, Scotsman Ian Robertson has been a leading commentator on rugby union for the BBC. Ian is also a writer and former international rugby player and was educated at George Watson’s College in Edinburgh, Aberdeen University and Christ’s College, Cambridge. For four years he also worked as a teacher at Fettes College where he taught a certain former English Prime Minister, Tony Blair. In his playing career at fly half, Robertson turned out for Cambridge University, Watsonians, London Scottish, Aberdeenshire, Scotland (between 1968–70) and the Barbarians. He managed to score 9 points for Scotland in his 8 games but sadly his career was cut short at aged just 25 following a serious knee injury, and the most memorable moment of his playing career was taking part in Scotland’s victory over England in the 1970 Calcutta Cup, which is a rugby union trophy awarded to the winner of the annual Six Nations Championship match between England and Scotland. Robertson has worked for the BBC since 1972 and has been the Corporation’s official rugby union correspondent since 1983, covering sport on both TV and radio. As well as being a respected broadcaster, Robertson is a highly accomplished and prolific author who has written more than 30 books and plenty of sports biographies about subjects including Bill Beaumont, Andy Irvine and actor Richard Burton.